It’s the dilemma faced by almost every parent and supporter worker of a child or adult with learning disabilities and challenging behaviours. "Harry, who vocalises to communicate, was mooing when a cow appeared and howling when a wolf featured." How far do you make an effort to get to mainstream events like theatre and cinema performances when you know there is every chance your son or daughter may act in a way that results in conflict with others? 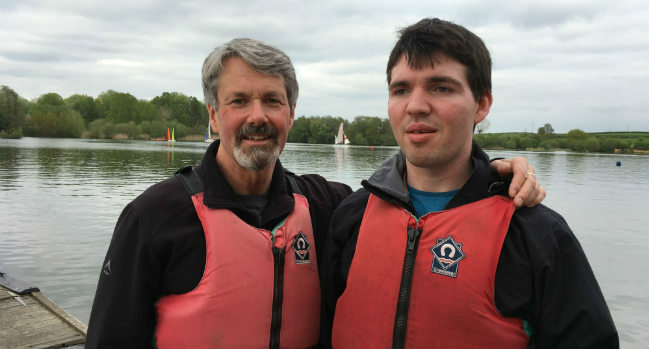 Martin Boniface, whose 26-year-old son Harry has severe epilepsy and profound and multiple learning disabilities, has spent the last two decades or so grappling with this question. And it was never more pressing than on a recent trip Harry took to the theatre with a support worker to see his father perform with an Operatic and Dramatic Society in Stephen Sondheim’s 'Into the Woods'. It wasn’t until the end of the Saturday matinee performance at the Swan Theatre, in Worcester, that Boniface discovered his son had been forced to leave a show he was enjoying. Much to the annoyance of a woman sitting in front of him Harry, who does not speak, was making animal noises. Harry, who vocalises to communicate, was mooing when a cow appeared and howling when a wolf featured. Boniface says he was told the woman had been consistently turning round and “shushing” Harry, before telling the support worker they should leave because the noise was distracting and disrespecting the cast. The support worker told the woman the noises were just Harry’s way of explaining what he was seeing, before leaving with Boniface’s son after around 90 minutes of the show. Boniface, 59, said he was very upset and made an unsuccessful attempt to find the woman after learning his son had left early. While he understands the woman had “paid good money” and had the “right to enjoy the performance”, Boniface questions the way she dealt with the issue. He added: “But similarly why shouldn’t people with learning disabilities have the right to go and enjoy performances as well? I can see both sides of it." Boniface says incidents like the one he faced in the theatre have occurred throughout his son’s life, including being told a then five-year-old Harry needed a slap while he was having a seizure in a buggy. A couple of years later loutish English holidaymakers made fun of Harry while he was wearing a crash helmet by a hotel swimming pool. The theatre incident in April happened around the same time as Tamsin Parker, who has Asperger syndrome, was dragged out of a screening at the BFI’s cinema on London’s South Bank of The Good, the Bad and the Ugly. She had laughed loudly during the screening. In another incident in April Grace Currie, who suffered a brain injury seven years ago, was escorted out of The Shrewsbury Hotel by bouncers after they mistook her disability for drunkenness. They told her she was too drunk, despite having only one drink. Harry’s leaving the theatre prompted his father to pen a blog detailing 11 points to help people deal with challenging situations in public. Among them was taking them to relaxed or autism-friendly performances, which can be an end in itself or a stepping stone to mainstream shows. However, Boniface, an associate family consultant with not-for-profit care firm Dimensions, admits he has mixed feelings about autism-friendly events. Boniface worries that while they offer a lifeline for families, they can also end up segregating people with learning disabilities. Rita Jordan, a retired professor in autism studies at Birmingham University, is also wary of retreating into autism-friendly events. The events are now common in theatres, cinemas, supermarkets and other public places to widen access. Jordan, 76, worries campaigners are setting up “little ghettos” by fighting for the events. Jordan accepts there needs to be a range of facilities. However, she insists that making everything autism-friendly will not resolve the issue. She said part of the answer lies in helping those with autism learn to better tolerate their environment. She believes that attempts to make environments uniformly soothing will not work because of autism’s diversity. While some individuals with autism prefer low lighting, others are disturbed by the shadows it creates, she said. Writer Sarah Ziegel, who has four sons with autism aged between 10 and 19, believes autism-friendly events are crucial for families living with severe learning disabilities and autism. For years she took her boys to autism-friendly theatre events. But as the boys’ behaviour has improved she has started to prefer mainstream performances. Author of A Parent’s Guide to Coping with Autism, Ziegel said taking children with severe autism to mainstream performances would be difficult if they “make noises all the way through”. Ziegel, from Richmond upon Thames in London, added that “everybody else that has paid a lot of money to be there would not tolerate it”. Image: Martin Boniface with his son Harry. Boniface has penned a blog on navigating public conflicts for support workers and parents of those with learning disabilities.